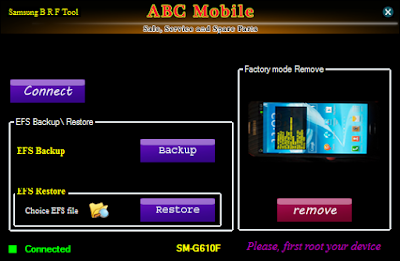 Home / frptool / Restore & Factory Mode Disable Tool. / Samsung EFS File Read / Samsung EFS File Read, Restore & Factory Mode Disable Tool. 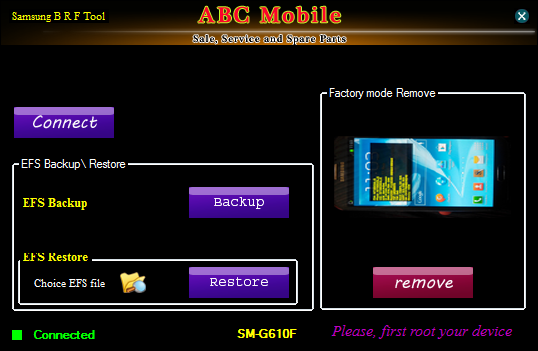 Samsung EFS File Read, Restore & Factory Mode Disable Tool. Samsung Efs File Read ,EFS File Restore & Factory Mode Remove Help You. How To Read Efs File. 3# Connect your phone using usb data cable. 4# Must enable usb dubbing mode. 5# Now click backup tab. How To Read Efs Restore. 5# Now click Efs Restore tab. How To Disable Factory Mode. 5# Now click Disable Factory Mode tab. Download Samsung EFS File Read, Restore & Factory Mode Disable Tool.